The secretary of CPI-M, Manipur unit L Sotin Kumar on Wednesday said that nine political parties will continue the fight against BJP who had been playing a major role in trying to pass the CAB and they will also mobilize different political parties who are against the bill. He said this at the CPI office complex in Imphal on Wednesday, according to reports. Sotin Kumar also said that though the bill was not tabled in Rajya Sabha, people should not relax and be easily satisfied as the bill can come in the form of an ordinance of the President of India before the model code of conduct for the Lok Sabha election is imposed. He also said that the nine political parties comprising CPI, CPI (M), AAP, RSP, PRJA, JDS, BSP and AIFB will take up measures to fight against it in the Supreme Court. 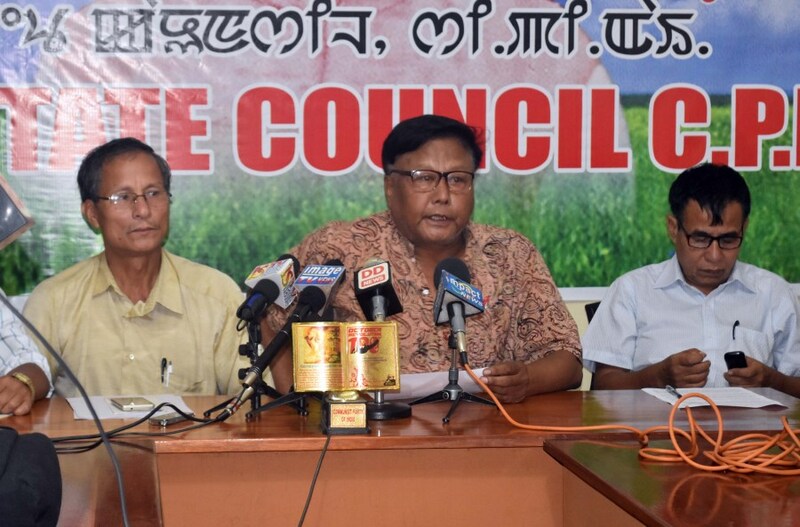 While commenting that there is also a section of people who supported the CAB with the excuse that by adding a clause, the bill could not harm the indigenous peoples of the State, Sotin Kumar also stated that even the Manipur People’s Protection Bill (MPPB) will not be able to protect the State while further questioning the status of the Bill. State secretary of All India Forward Block, Khomdram Gyaneshor speaking on the occasion said that opposition parties along with the people should continue to pressurize the Centre against the CAB. He also questioned why the N Biren Singh Government failed to introduce a mechanism to identify the number of migrants in the State.